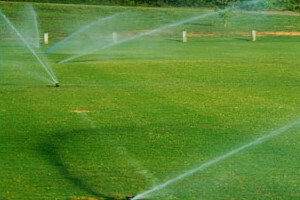 Sprinkler winterizing services: When we provide winterizing services, we use a high-volume commercial air compressor to move any residual water through the lines of your sprinkler system. This ensures that all sprinkler parts are free of water and safe from damage during the winter. Avoid costly repairs: When you contact us for winterizing and other sprinkler system service in Burlington County, NJ, you’re making an investment in the continuing function of your system. Winterizing prevents water from freezing in the sprinkler lines during the winter, which can lead to cracking and splitting. Repairs can be expensive, and in some cases are impossible to perform. Avoid this stress and expense through winterizing. Service you can count on: As one of the oldest sprinkler system companies in Burlington County, NJ, Star Sprinkler Systems Inc. is pleased to offer trustworthy, affordable and expert service to residential and commercial clients and more. We stand by the quality of our customer service, and look forward to serving you soon. The team at Star Sprinkler Systems Inc. knows and understands sprinkler systems, which is why we’re proud to work with products from Hunter, Rain Bird and Toro, three of the marquee names in our industry. We’re always happy to discuss these quality products during winterization, installation or any other service we provide. To learn more about our services or schedule a winterization visit, please get in touch with Star Sprinkler Systems Inc. by calling 609-654-1241.